FEATURING the 11 sec NA Beast "SLY250" & the 9 sec Turbo Monster PSIPOP"
Date for Orders will be closed is 2nd June, 2017. Date payments will be closed is 9th June, 2017. Top Quality Gildan brand Tshirts and Hoodies - no complaints on quality on the previous sales over the last 5 years for this brand - great fitting too. 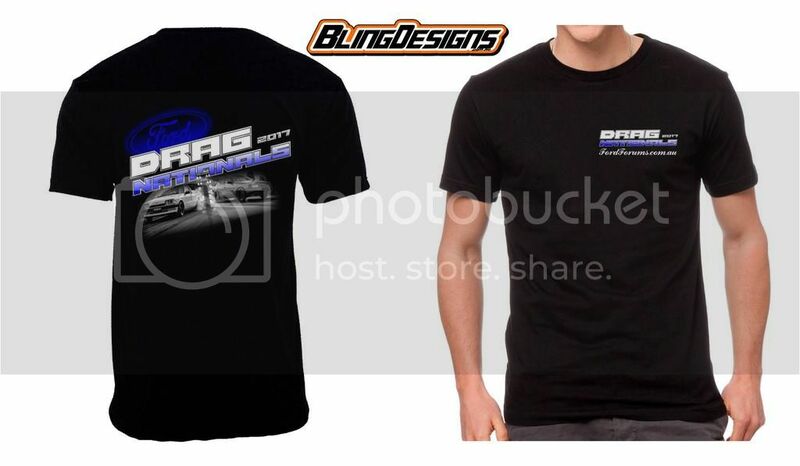 Account Name: Fordforums Australia Inc.
Paypal payments can be made by clicking on the button below. ORDERS CLOSE ON 2ND JUNE, 2017. 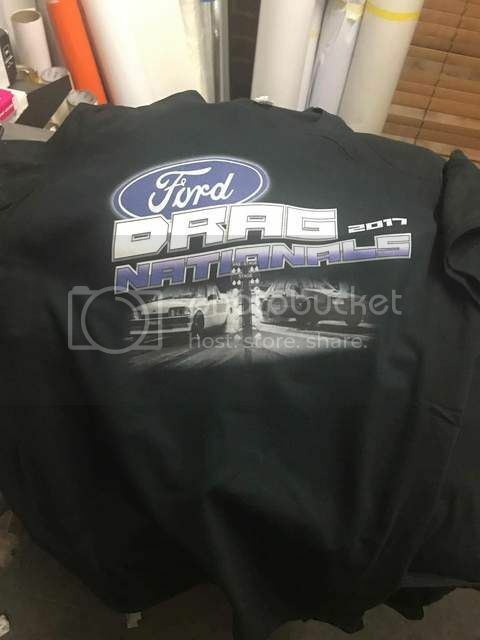 The actual print looks like this - it is lighter as the Ford logo on the design was too dark and if you were 10 meters behind the word DRAG would just stand out.